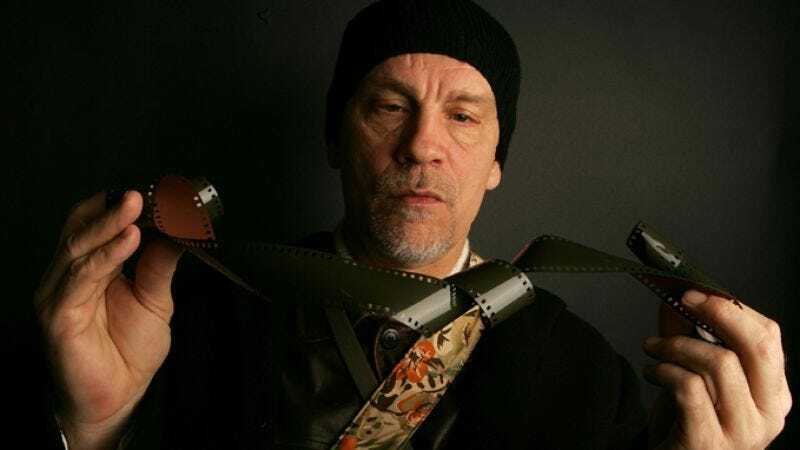 John Malkovich needs little introduction; he’s one of the most recognizable names and faces in Hollywood. Even before Spike Jonze’s Being John Malkovich made him an indie super-darling in 1999, he already had a decades-long, storied career onscreen and onstage, notably as one of the original members of Chicago’s famed Steppenwolf theater. He continues to direct and act in plays, and to work steadily in cinema—he was in eight films in 2008 alone, with starring roles as well as supporting ones. And that’s not even counting his more colorful ventures, like starring in (and earlier this year, touring the world with) an opera about Austrian serial killer Jack Unterweger. Most recently, he played the antagonist in Jonah Hex, he co-stars as tempestuous horse-trainer Lucien Laurin in Secretariat, he plays an LSD-addled, paranoid retired spy in Red, and he just finished shooting a role in Transformers 3. The A.V. Club recently sat down with the two-time Oscar-nominated actor-director to discuss his teenage relationship with Secretariat, why people think he’s an affected theater snob, and why films don’t ever give actors enough time to work. The A.V. Club: In Secretariat’s production notes, you discussed how you have a personal relationship with Secretariat’s story because you lived through it and followed it closely the first time. As a teenager, what did you find interesting about Secretariat’s races? John Malkovich: You know, it’s hard to say why. It’s something, watching the Triple Crown. It’s something I always did with my parents. At that particular time—it was a year after the McGovern/Nixon election in ’72, and in ’73, it was the year we were pulling out of Vietnam, etc. etc. Maybe it was just something everybody could agree on. Maybe something as simple as that. There wasn’t a lot of debate about him. And something maybe everybody could root for. So probably that. We always watched at least the Derby and the Preakness and the Belmont, but because he had already won Horse Of The Year as a 2-year-old, everyone thought he had a great chance to win the Triple Crown, which hadn’t been done in years and years and years, at that point. In fact, they thought it never would be done again, though it was done after. So that’s probably why. AVC: Were you aware of Lucien Laurin at the time at all? JM: No. I mean, a tiny bit. And of course more of Penny Chenery, because I read the articles, etc. etc., especially those by Bill Nack, who was probably the best chronicler of Secretariat’s voyage. But not so much. I mean, I cared about the horse. The things around it… not so much. AVC: Are you still interested in horse racing, or the racing and breeding scene? JM: Yeah, I’ll watch it once in a while. I come from a family of gamblers, so I wouldn’t want to watch it too much, because I think the genes may get me. But I like it. I watched all of the Breeder’s Cup last year, which has a lot of great races. It had this spectacular mare [Zenyatta], who won a fantastic race against all the boys. Incredible horse. So I’ll watch occasionally, but for the most part, I’m too busy to do stuff like that. Except for something like that, I don’t even turn on a TV. I just don’t have time. AVC: Did making this film bring up any specific memories about your teenage years? JM: Well, you know, I remember where we were, just sitting in our living room, and the incredible worry we had before every race, that he wouldn’t be able to do it, and the exaltation when he did. But this is not so much just through doing Secretariat, but through watching a lot of the coverage of Secretariat that you can find on YouTube now, or going back and reading Bill Nack’s book or other articles, etc. etc. One thing I was really reminded of, it’s very funny when you look at it—how colorfully everyone was dressed. I mean, that was the kind of… 1973 specifically was probably for both the squares and the hipsters, probably the wildest fashion year. Most of it extraordinarily ugly, but quite fun. And even when you watch the broadcasters, they’re dressed like pimps. It’s just incredible. AVC: That’s one of the most notable things about Lucien, the way he dresses. Although as Secretariat goes forward, his clothes become progressively more subdued and simple. Is that more about a change in his character, or so he wouldn’t be a visual distraction? JM: I think probably a little bit of both. But it’s really exactly what he wore in those races. So I think they really just went purely historical there. AVC: As an actor, how much does costuming and makeup matter to you, in terms of building a character? JM: Depends. None of it’s necessary for a character, but what you really need to build a character is exactly what you don’t have in the movies—time. You know, movies are like a line drawing. You gotta say, “Okay, in real life, Lucien Laurin is probably 5 feet tall, maybe, maybe 5-feet-1. He actually [Curls lips, talks nasally.] talked like this, ’cause he had dentures that didn’t quite fit. Okay. So you decide “Am I doing that or not? What do you think, Randall? No? Okay, fine. Great. All right, do we do this or do we not do this?” And you have to make very quick decisions, which are, in the end instinctive. Or you make a decision to say “Well, maybe I can do that, because… Oh, that could be irritating after a while, or distracting, etc. etc.” Some of it is a matter of time, always. For instance, with this role, I would have vastly appreciated having the deal finished months before, because then I could have gotten the French down—I speak French, but not French-Canadian French. But I’ve had that happen to me many, many times with movies. You sit around jabbering with the studios for four months, and then the film doesn’t happen. Now I’m not going to work until I know, is it happening? Are we finished? Are you done talking? Okay. Then I go to work. But often, movies have—just using the terms of an artist or painter or drawer, they have that element of line-drawing to them. You just gotta make a decision, and then you have to stick with it, because you can’t go back after you’ve filmed for three weeks and go, “Oh now I realize! Here’s the—he’s left-handed! That’s the problem. I didn’t realize that when I started.” It’s what you do in a play. When I say things like that, people always think that means I don’t like movies, or I’m some kind of affected theater-intello. No, I’m just talking about the actual work. Just like when you do a painting, you may work on it every day for six months. You may go back in after three months, and go, “Oh it’s great, except it’s a portrait of the wrong person, so let’s start again.” You can do that in the theater, and you just can’t do it in the movies. You don’t go back. So with most movies I’ve ever made, my normal feeling is, once I see it, “Oh, that’s what you wanted to make? Oh, great. Okay, let’s make it.” But it’s already finished. You try to think of it sufficiently enough beforehand that you won’t get caught in a trap, basically. But you don’t ever really have the time to fully, fully explore it. So much of what you do as an actor—it’s who’s around you, what’s the environment, where do you fit into this thing. That’s really work that’s impossible to do on your own, at least for me. I find it hard to pre-plan every element of everything I do. It’s not my thing. JM: Yeah, I don’t. But if I hear a film clip, or I happen to see some image from a film—you know, you go to a film festival, and they show some clip of the movies you’ve been in, most of the time I sit there and go, “Oh God, I should have… should have… that was terrible.” But I think that’s a natural part of this work, because really, your work is never over. Of course I can leave it alone and walk off the set and never think about it again when it’s done. But your work is really ongoing all the time. I did an opera last year in Vienna, and then again this summer, and I’ll do it next summer. It’s different every night, because I’m still searching for exactly how I want to shape it on a given night. AVC: When we last talked to you, it was just after you directed your first film, The Dancer Upstairs. You still direct plays regularly, but you haven’t directed a film since. Is that something you’re interested in doing again? JM: Yeah, listen. I like to direct movies, but I don’t like to goof around for eight years talking about it. And it’s pretty irritating to get a movie on, and—you get all that irritation already as a producer. So to complicate it by having more irritation as a director, I don’t really need it. And because I direct a great deal still, but in the theater, I kind of get that anyway. Which is not at all to say I would never do it again, or it would never happen again. But I haven’t read any scripts at all where I’ve felt like, “You know what? It’s probably better if I just do this myself.” I could always think, “Well you know, I think so and so should do this.” And then as producer, sometimes I’m able to get that person to do it. We occasionally have a project where I wouldn’t mind saying, “I could be someone that could be considered,” but I would never go any further than that. I just haven’t found the thing that made me want to. And films take too long. There’s too much BS, too much nonsense. You know, if I want to do a play, I just call the theater, whether it’s here, or in Paris or Mexico or Spain or London or whatever, and say, “I want to do this, are you interested?” They’ll answer the next day. With a movie, it’s all, “Oh, I see this film as blah blah blah.” They don’t know what you’re talking about, they don’t care. I loved doing Dancer Upstairs, and I like the film, Dancer Upstairs, but it also is like a waste of seven years of my life. AVC: You’ve got a couple of action movies coming up: Red is opening, and you were just shooting Transformers 3. You’ve always had a reputation as a very serious actor who puts a lot of work into his roles. How do you relate to action directors? JM: Well, I haven’t done that many. In The Line Of Fire, which is a kind of action film. JM: Con Air, which was a first-time director. I liked all of those. So let’s say if I’ve done four, I guess it is. There may be ones I forget. AVC: Your scenes in Mutant Chronicles weren’t actiony, but you were working with an action director. JM: Yeah. Yeah. It really depends. Some of them, I’ve had directors out of their depth. Especially… not only in the notion of dealing with human behavior and if it exists, but even out of their depths in the action takes. Then I’ve dealt with some, like Wolfgang Petersen, who are exquisitely prepared and know exactly what they want to do, etc. etc. But the experiences, I’ve always really liked. You know, I loved doing Con Air because with all the guys in the airplane, most of them weren’t actors, they’re like convicts and boxers and hockey enforcers and professional football players and stuff, and it was just like having a pack of animals in your yard. I thought they were hilarious, and I loved being around them. Quite often—a lot of the work I had done had been extensively with women. Most especially in the theater, but also quite often in the movies. That has its own delights, and maybe pitfalls too. But I never really did something like that with all these guys, many of whom should be in jail. And some of whom had been. And I loved it. And on Transformers—you always hear these things about Michael Bay, that are obviously not very predisposed to make you want to work with him as an actor, but that’s why I always take that all with a grain of salt. You hear all kinds of stuff about people. When I got there, I found him open, and kind of like a little kid. And I think, the work he does, it’s all in his head. It’s all on him. And he’s not a… he watches the actors, he gives you a lot of freedom, he gives you a lot of suggestions. And I found nearly the opposite of what I’d been told I’d find. And yet others, who I wouldn’t name because I don’t like to say negative things about people, who you think would be super-open and artsy and blah blah blah, are kind of crypto-fascist, really, even if they have an artsy reputation. So you never know, you never know in this life until you go and you do it yourself. Red, I had met Robert Schwentke years ago in L.A., at just a kind of meet-and-greet. Because he likes to read a lot, and we had a lot of things in common, I really liked Robert, but I had never worked with him. But I love working with him. I mean, I’m getting more than a little long in the tooth to run around with guns and stuff, but it’s fun with a great cast of super-pros, and people I personally like and enjoy. So what’s not to like about it? AVC: How much is having fun on a movie important to you, as compared to doing a serious in-depth piece of acting that really challenges you? JM: Well, I like to have fun at work. It’s okay if I don’t. I’ve had that a few times. But generally, I’m someone who has a lot of fun at work, because I like my job. I think it’s a fantastic job, at least that part of it is a fantastic job. And I like to have fun, and I personally feel that whether you’re talking about the cast or the crew or the director or any combination thereof, that when people feel involved and comfortable and they feel like their work is being supported, that’s the best environment to do good work. Other people love chaos and tension. I don’t like it. I mean, I obviously have worked in it. But I never liked that. I don’t think it’s a proper creative environment at all.